The long, dry summer contributed to a huge increase of grass and wild fires in Northamptonshire this year, with more than half of them being started deliberately. 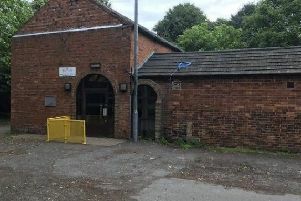 Crews in the county saw the number of such incidents rise by 50% , as the Fire Brigade Union warned its staff are under-funded and ill-equipped to deal with such an increase. Between May and July, the Northamptonshire Fire and Rescue Service tackled 166 grass and wild fires. This was 50% more than the summertime yearly average from 2014 to 2017, as the summer’s soaring temperatures and weeks without rainfall turned grasslands into tinderboxes. Across the UK, the number of grassfires increased by 157% in 2018, with almost 25,000 call outs over the three-month period. Responding to the figures, a spokesman for the Fire Brigade Union said: “The growing risk of grass fires represents another strain on the dwindling resources of fire and rescue services, who are currently experiencing severe budget cuts across the country. A Freedom of Information request, to the Northamptonshire Fire and Rescue Service, found 56% of the fires were started deliberately. The Northamptonshire figures did not specify a cause, however in the national data where a cause was stated, 38% were caused by a naked flame, such as candles or matches. In 17% smoking materials, such as a lighter or cigarette, were the source, and 11% started naturally. In Northamptonshire the most common place for a blaze was grassland, with 20% of fires. In 19% of incidents, fires were on gardens, while 16% were reported in tree scrub. Chris Lowther, operations lead at the National Fire Chiefs Council, called the summer’s weather “exceptional” but added “we can’t ignore the longer-term impact of climate change on fire services”. “We have seen an increase in the number of fires in recent years alongside a 21% reduction in the number of wholetime firefighters since 2011. It is vital the communities fire services represent have confidence in their emergency services,” he said. Karen Lee MP, shadow fire and emergencies minister, said: “Climate change is a very real and visible threat to our communities and landscapes. The threats are changing while the fire service’s ability to respond is being degraded. “The Conservative government are not taking the public’s safety seriously. While large disasters such as the Saddleworth and Tameside fire devastated our grassland, fire services across the UK have seen swingeing cuts to their budgets and the total number of firefighters has been cut by nearly 12,000 since 2010. A Home Office spokesman said: “The tireless efforts of firefighters to contain wildfires this summer have been astounding. “We have made sure fire and rescue services have the support and equipment required to successfully fight these types of fires.